From dog training and behavioral consults to pet sitting in your home for all pets, Pets Stay Home Training & Care has what you need to keep your pets comfortable in your home. 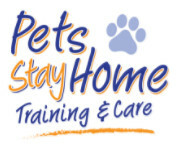 Pets Stay Home is a premium dog training and pet care service in Winnipeg, MB. Locally owned and operated since 2004, we are a full-time business dedicated to pets. Our goal is to help pets stay in their own home. We provide pet visits for dogs, cats, birds and other pets. We also provide various training options to suit you and your dogs. We provide short and long-term pet care, mid-day breaks, dog training, new puppy support, trick training, plus help with behavioral issues and manners training.